At Active Mobility, we pride ourselves on being able to offer a wide range of innovative solutions for those of us with mobility issues. We're particularly proud of this product - a fold away wheelchair ramp. 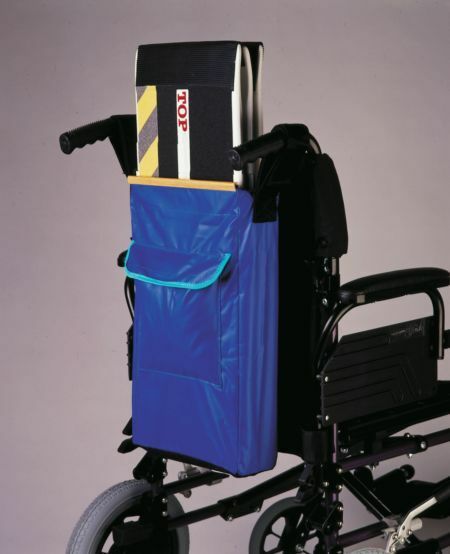 As its name suggests, it's a ramp for wheelchair users - allowing them easier access over steps and stairs, but this one can be folded up and carried in its own storage bag (provided). This bag can then be attached to the back of the wheelchair - how's that for convenient? Although the ramp itself is lightweight, foldable and easily transportable, it can still support a weight of up to a very generous 300kg / 47 stone.